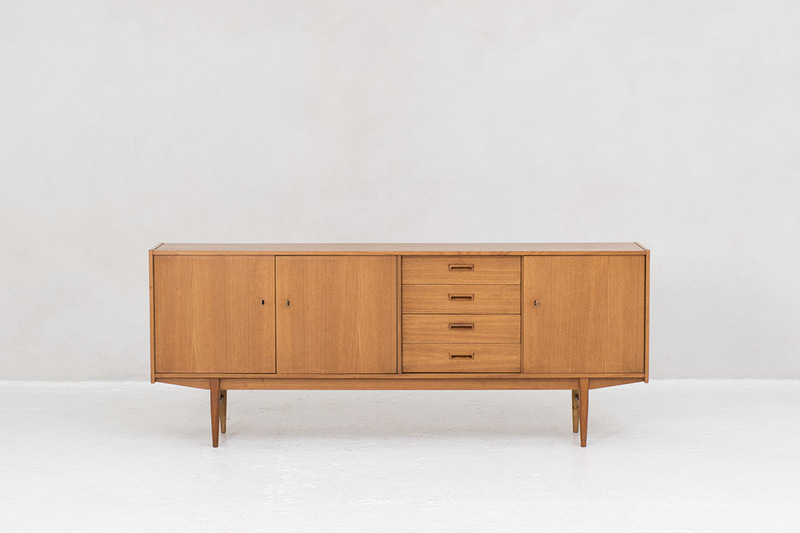 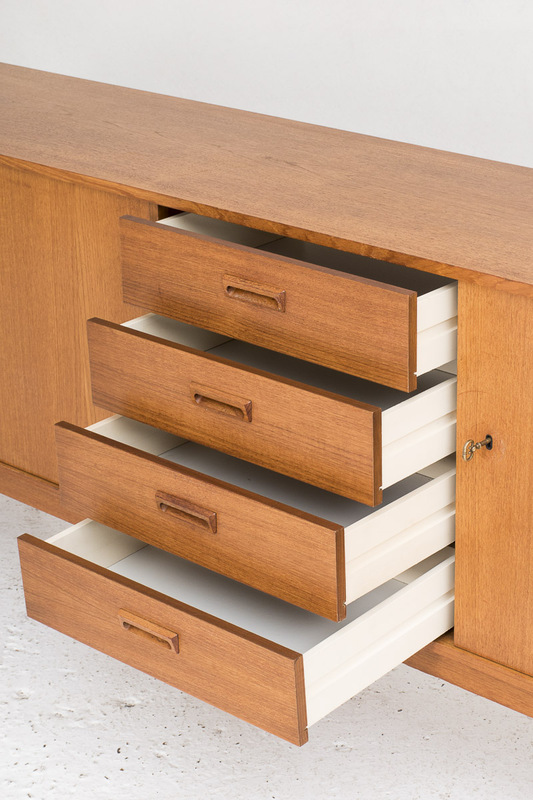 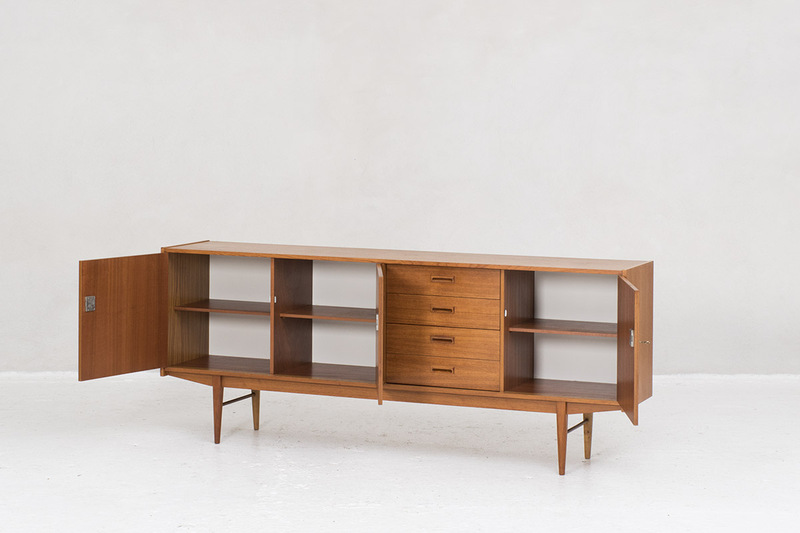 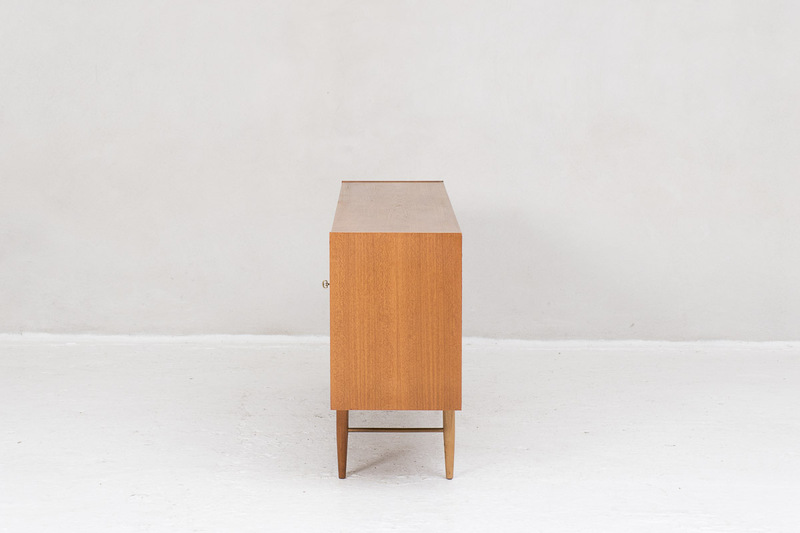 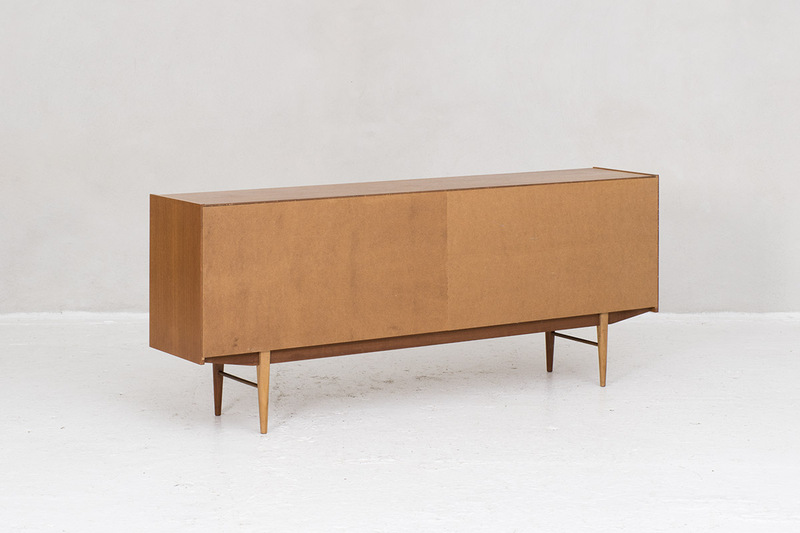 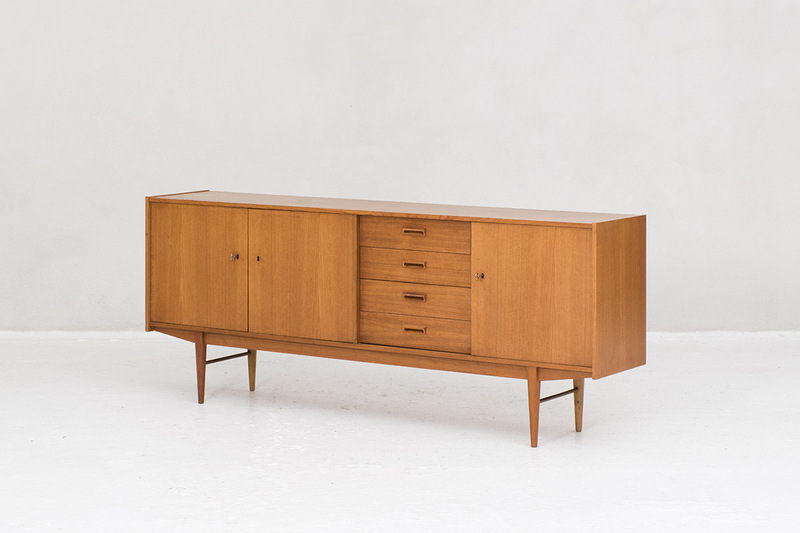 Sideboard, designed in Germany in the 1960’s. 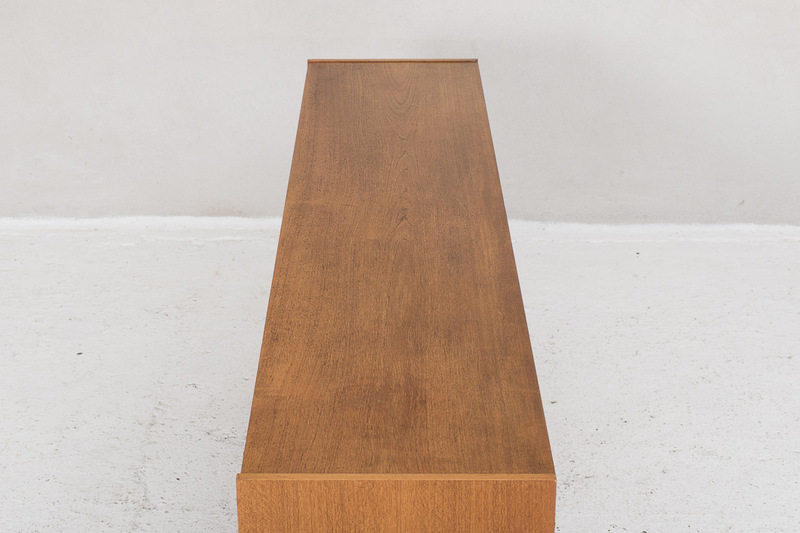 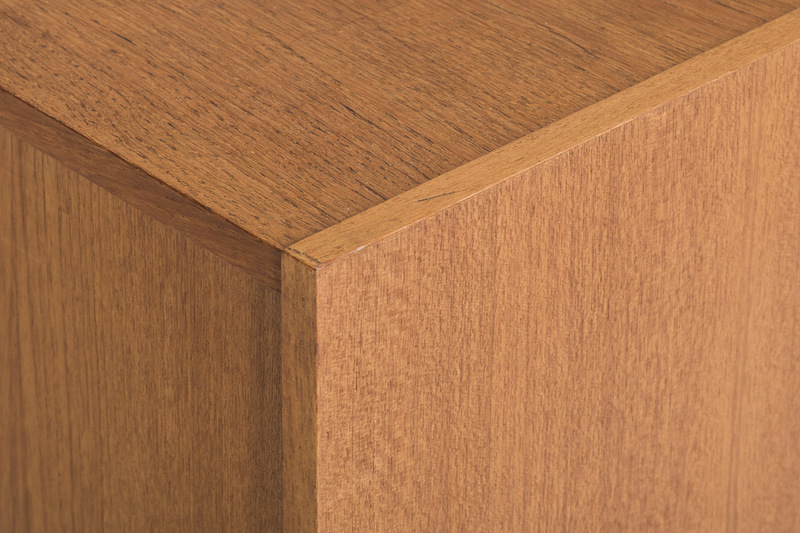 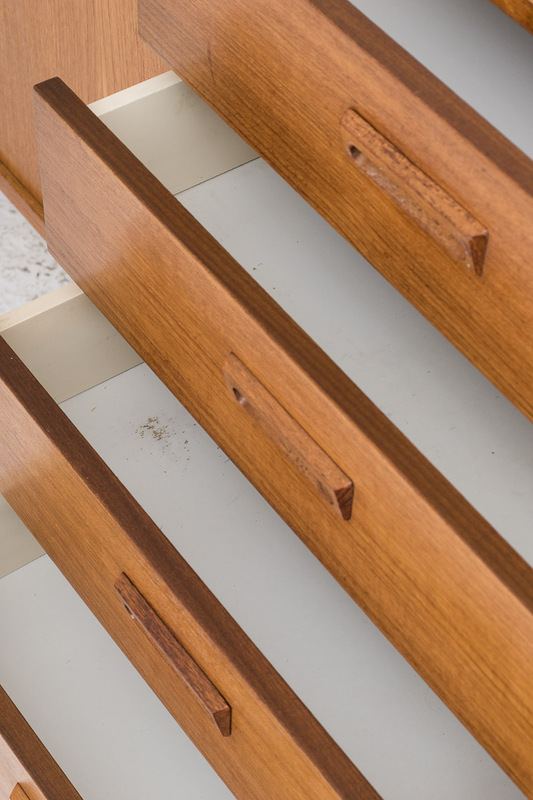 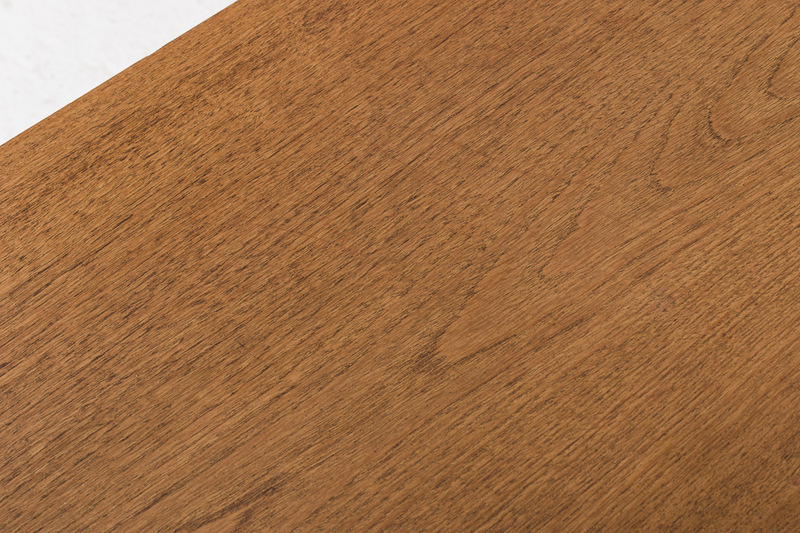 Solid teak legs and sleek wooden handles, teak veneer frame and front. 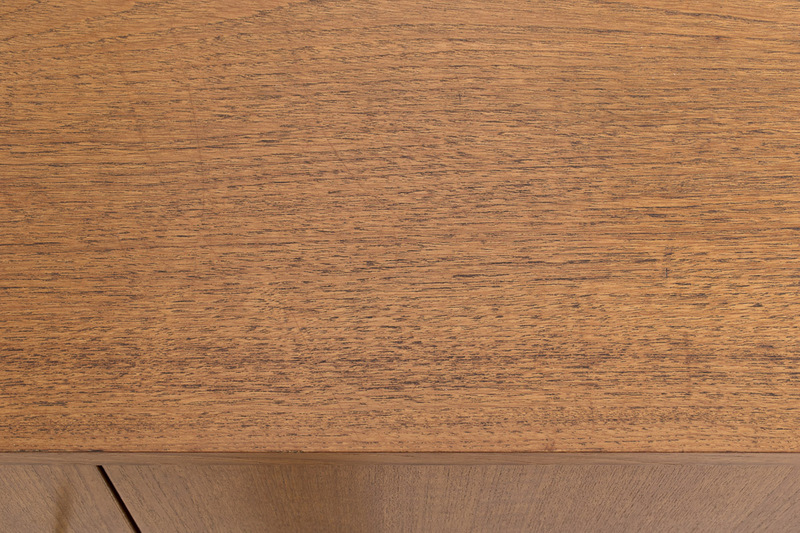 With original keys. 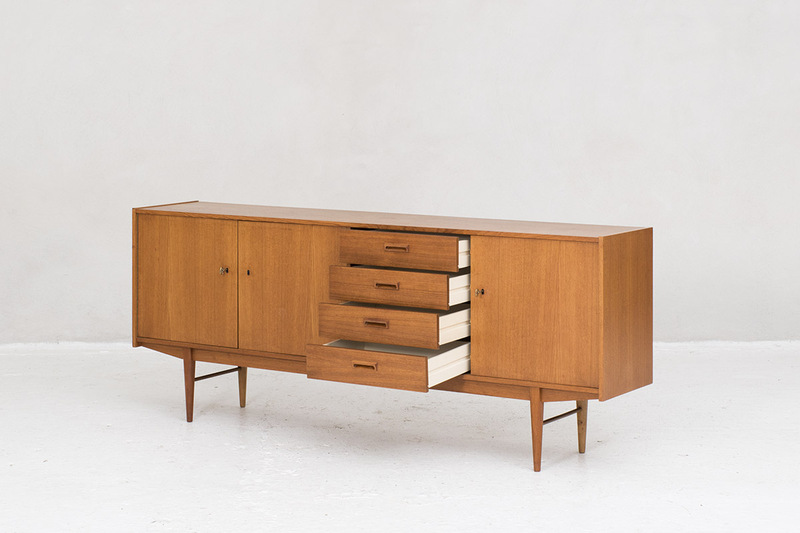 In general good condition. 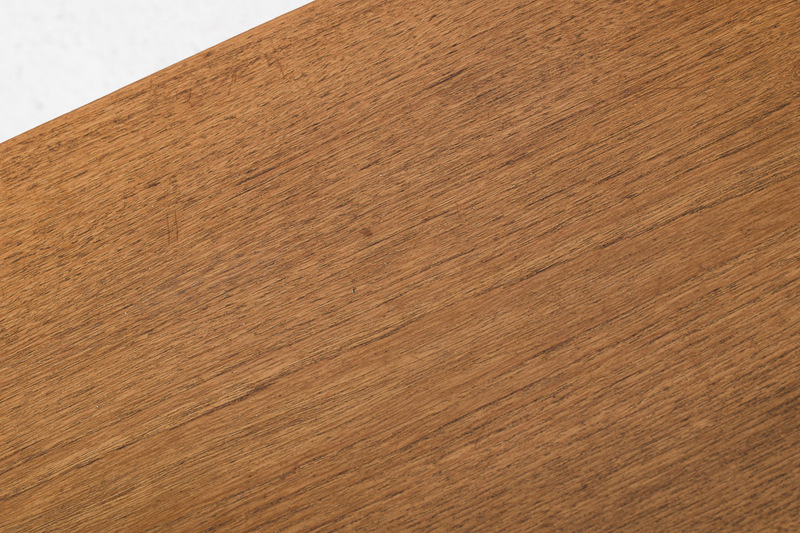 Mailtraffic will be down during this week but we will be reachable by phone.